No matter how old you are, losing a parent is a difficult rite of passage. Like childbirth, it is such a complex, emotional experience that it’s never easy to explain to anyone who hasn’t walked through it. My own father died suddenly at 65. I was 38 and had a family of my own, yet I still felt unmoored and abandoned. Even though my mother was alive and in good health then, it seemed as though Id been exiled to a strange frontier without a map. And in some ways, I had. At that point, none of my closest friends had lost a parent. They couldnt comprehend the depth of such a loss — or why my sorrow turned to anger or resentment during the holidays. And I couldnt begin to articulate the unexpected waves of grief. Before my dad died, I avoided most funeral homes and memorial services. On the rare occasions when I did attend, I struggled to find the right words for the bereaved. I found it awkward to view a casket, open or closed. In retrospect, I hadn’t found a direction for my own life yet — so how could I look death in the eye and make any sort of peace with it? But a lot of things changed when my father died — and so did I.
I looked long and hard at the self-centered goals Id been striving for in my twenties and thirties. In the weeks and months after Dad was buried, I listed everything that had been important to him: home, family, hard work, honesty, and kindness. In his honor, I decided to recommit myself to the values hed hoped to pass along. And, most important of all, I stopped taking for granted the people I loved. The road back to normal was long, but I regained my footing and felt whole again. In retrospect, I hadn’t found a direction for my own life yet — so how could I look death in the eye and make any sort of peace with it? To be released this month, Always Too Soon by Allison Gilbert offers words of reassurance to anyone who is struggling with the loss of one or both parents. Gilbert, who was parentless by age 31, discusses the stages of her grief in the books introduction. Always Too Soon features conversations with more than a dozen celebrities who were willing to share their own experiences with parent loss, including Rosanne Cash, Yogi Berra, Mariel Hemingway, Dennis Franz, and Rosanna Arquette. It also includes moving insights from not-so-famous people who lost parents in the Oklahoma City bombing and the September 11 terrorist attacks. Its a book Id recommend highly to friends in need of comfort — and these days there are quite a few. Within the past year and a half, two of my former college roommates watched their mothers lose their long battles with Parkinsons disease. Another friend recently answered a late-night call announcing that her father had died unexpectedly of a heart attack. Lately, visits to funeral homes and memorial services have become routine. I dont always know the “right” things to say, but I do understand that my presence is important. I try to be the kind of friend I needed when my father died 14 years ago. I try to be honest. I remind my grieving friends that recovery from such a huge loss takes its own bittersweet time. First published in The Daily Tribune, December 24, 1998, this essay was assigned for the front page of the Christmas Eve edition. It is republished in Writing Home. Over the centuries, Christmas has been reinvented and repackaged, promoted and pummeled, like the cookie dough we cut into festive shapes and decorate every year in December. Christmas is a mass of contradictions. The day was chosen to honor the birth of a king in a lowly manger — a king who ultimately advocated a life of humility and charity. Yet today the holiday is celebrated more as a buying frenzy than as the birthday of a humble messiah. Then again, Christmas is a mirror reflecting our culture. Historians cant certify the exact date of Christ’s birth. Ironically, Christians decreed in the fourth century that the Feast of the Nativity would be observed December 25 — originally a pagan holiday. The date was deliberately selected to replace the rowdy winter solstice festivals held in those days. On the old Julian calendar, December 25 was the longest night of the year, which partly explains why the torch-carrying pagans had chosen it to glorify the sun. As church leaders hoped, Christianity eventually took root, and by the end of the thirteenth century, most Europeans celebrated the birth of Jesus. 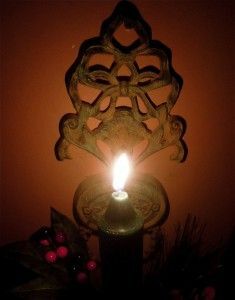 But the Druid-pagan aspects and symbols of Christmas never were completely snuffed out — including the Yule log, mistletoe, and the evergreen tree. Today, the weeks between Thanksgiving and New Years Day serve as an extended invitation to indulge our national craving for activity and entertainment. Weve forgotten that the sentimental Christmas we long for, as McKibben explains in his book, evolved during the 1840s when Americans “were mostly poor, worked with their hands, and lived with large, extended families.” Today it would be impossible to re-create such a Christmas in suburban America. “More and more, that old Christmas finally feels played out,” McKibben writes. 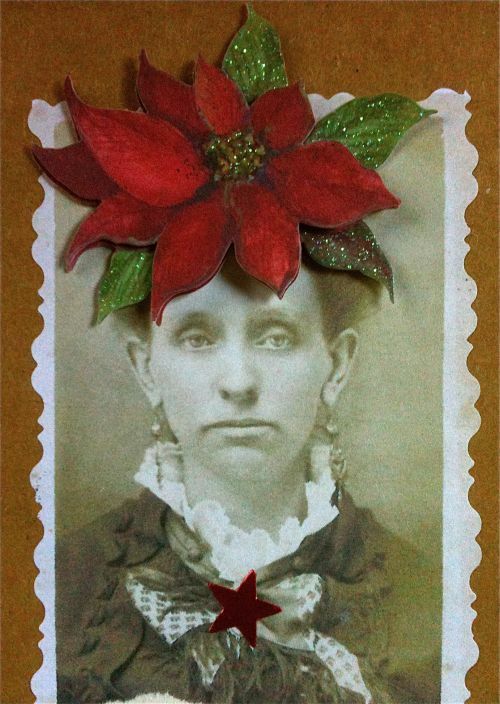 If weve grown ambivalent about the holiday â€“ or even disappointed in it — thats partly why. Still, at its heart, Christmas remains a celebration of light’s triumph over darkness. A celebration of miracles. Light is the enduring symbol of Hanukkah, the annual Jewish festival that coincides with the Christian holiday season. Hanukkah marks the rededication of the Temple of Jerusalem and the ceremonial oil that burned miraculously for eight days. With the ritual lighting of the menorah at its core, Hanukkah prevails as a tribute to religious freedom. Its sobering to remember, especially now, that many people still struggle for the right to worship as they choose. In Ireland, the Middle East, and other parts of the world, many have lost their lives in the names of conflicting gods or warring denominations. Even here, in our own community, were not totally free of violence, poverty, hunger or hypocrisy. We know its never enough to donate last years coats to the poor, or to serve meals at a soup kitchen, but we still havent figured out how to solve the dilemma of our homeless and needy. And our personal difficulties pale in comparison. So tonight we rekindle the embers of our faith. Like pagan revelers, we build fires and throw one last party before surrendering to winter’s chill. 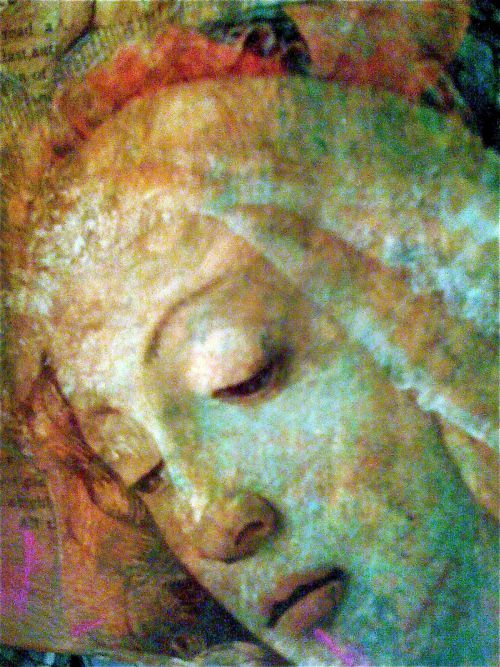 Like hopeful Magi, we track the glimmer of a distant star, trusting there is something wondrous and good at the end of our most difficult journey. Wonder of wonders, I’ve made it halfway through December without suffering the pre-Christmas blues. Which is no easy feat for someone who typically breaks into tears when she hears “I’ll Be Home for Christmas” on the radio. I’ve written about my seasonal depression in previous columns and posts, so I won’t list all the reasons for it here. Besides, Christmas blues are hardly uncommon these days. Television commercials promoting holiday excess and family unity seem downright cruel to anyone enduring the loss of a job or a loved one. Meanwhile, the pressures to overspend, overeat, and make merry can feel as weighty as the chains wrapped around Jacob Marleys ghost. “The discordance between our expectations of happiness and the emotional realities of the holidays is a major reason for the high incidence of depression at this time of year,” notes Dr. Andrew Weil in his latest wellness guide, Spontaneous Happiness. Every year, my husband, Doug, offers nearly the same advice: “Lower your holiday expectations.” But more than anything, I’ve discovered that getting over myself — and honoring the true meaning of holiday giving — is the sure cure for my annual “fa-la-la” funk. For starters, Doug and I decided, early on, that we’d volunteer several hours to a local cause or organization we support. Since Doug is on the board of South Oakland County’s Boys & Girls Club, we both signed up to help the Club with one of their annual holiday projects last Saturday — filling 300 boxes of food for local families and seniors. The work wasn’t too strenuous — at not least the part I did — but the rhythm of building and packing cartons in an assembly line with fellow volunteers refueled my sense of community as well as my sagging Christmas spirit. Whenever I get involved in a project like this, somehow I end up meeting a person who senses I need this type of wake-up call. While packing cartons for the Christmas food drive, for instance, I chatted with another volunteer who told me she “grew up at the Club” during a rough childhood. She shared parts of her life story as we loaded our cartons with juice, rice, and cereal. “The Boys & Girls Club saved my life — and that’s why I’m working here with everyone today,” she told me. And so, for several festive hours last Saturday, I felt that same little rush of hope and goodness I feel every time I stuff an extra bill into one of the Salvation Army’s red kettles at the supermarket or the post office. And I understood, once again, that this was the holiday spirit I couldn’t purchase at the malls. 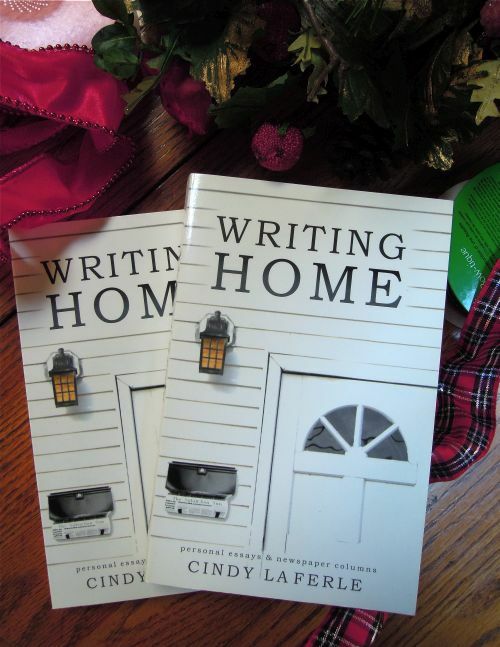 Proceeds from the holiday sales of my book, Writing Home, are donated annually to organizations serving the homeless. Since the book’s first printing in 2005, I’ve had the honor of donating several hundred dollars from book sales and speaker fees to both the Welcome Inn and South Oakland Shelter, here in metro Detroit. I do this every year because “home” always tops my gratitude list. I’m blessed to live in a wonderful old house in the middle of a neighborhood and community I love. And that, in a nutshell, is what the stories in Writing Home are all about. Yet here in this same community of established neighborhoods and solid vintage homes, there’s a homeless population that’s been hit twice as hard by Detroit’s long-suffering economy. Like others in my neighborhood, I want to help. Now in its 2nd printing and available on Kindle, copies of Writing Home can be purchased on Amazon.com for less than $20 and mailed in time for holiday giving. And you can feel good about the fact that $5 of your holiday purchase will benefit someone in need (not the author or publisher). If you live in Oakland County, look for the book at the Yellow Door Art Market in Berkley or at the Royal Oak Historical Museum.